For builders who have considered working at the highest end of the luxury home business, working with an architect is probably a necessity. At the least, it exposes them to a clientele they otherwise might never meet. The first steps to high-end custom work must be taken long before you meet with an architect, for this is an area in which novices and the inexperienced are not welcome. Architects have no interest in introducing their clients to a builder who has never crafted the type of detail or directed the overall scope of work that high-end residential construction demands. After all, the reputation of the architect and his/her firm is on the line every time the architect introduces a builder to a client. For builders who have years of custom work under their belt, a list of satisfied references is a must. Gary Wagner, principal at Danze & Davis Architects in Austin, Texas, recommends that builders add client letters to their reference list, as opposed to merely cataloging the names of previous clients. A list of names does not demonstrate the clients' level of satisfaction, which can be expressed best in narrative, written form. Virtually every architect also demands to see a professionally prepared portfolio, and this is one area in which a builder should not skimp. While project details are important, so is the overall scale of the work performed. In addition to photographs of intricate trim work, Cyril Beveridge, principal of Beveridge Architects in Clinton, N.J., wants to see the scope of work that was performed. Photos should show the magnitude of completed projects. Before soliciting an architect for business, a builder should focus on finding an architect whose work mirrors the builder's skills. Beveridge recommends visiting a job site (many high-end projects have job signs listing the name of the architect who designed the project), though soliciting information about an architect from an already recommended builder who's working that site might not prove fruitful. After all, you represent potential competition for the next job. If the builder is not receptive or not on site, speak to craftspeople on the job. Beveridge recommends trying to uncover the following sorts of information: Does the architect always side with the client (and against the builder) every time there's a dispute? Are payments to the builder approved in a timely fashion? Is the architect fair with change orders? Does the architect take responsibility for the drawings? Is the architect available to answer questions? Rather than waste the time of an architect who specializes in work in which you have little experience, find architects who have clients who need your specific expertise. Like most professionals, architects are bombarded with solicitations. They have little time to waste on a builder who doesn't have expertise or talent of value to their clients. And despite the bidding environment in which many builders have worked, architects don’t want to add someone to their preferred contractor list just for bidding purposes. Any projects they pass to their preferred builders will be bid on a level playing field and will not include an inexperienced builder who might offer a low bid. Once you have the requisite experience in the high-end residential market, you can attempt to show your "wares" to an architect in the community where you want to work. The difficult question for most builders: How do I get an appointment? Unfortunately, most architects probably aren't receptive to solicitation via telephone. As noted above, architects (like builders) have busy schedules, and most don't have the time to schedule appointments to visit or even speak at length with unknown builders who merely are prospecting for business. Similarly, mass mailings probably have little effect. They represent production, which leads an architect to conclude that a "Dear Architect" letter is not intended specifically for him but for every architect in the vicinity. And it certainly doesn't show that the builder tried to learn anything personal about the architect. While mass mailings might not score points with most architects, a well-presented mail solicitation, especially one that includes photographs of work and a list of previously completed projects, might get some architects' attention. Be certain that any brochures represent the exact type of work emphasized by the architect you are soliciting. 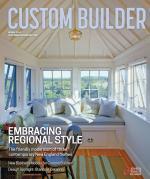 "A builder should not send a commercial portfolio to an architect specializing in residential design," Beveridge says. Showcasing development work doesn't help a builder's cause either. High-end residential architects design one-of-a-kind projects; that a builder can build homes en masse might work against him. Doug Walter of Doug Walter Architects in Denver says the best way for a builder to get an architect's attention is to "come with a client in tow. I'm constantly in the business of finding new clients. I notice someone who brings in jobs." Alternatively, Walter says a handwritten note from a builder works far better than a "Dear Architect" letter. "A handwritten note that says, 'I saw your work and admired it, and we'd love to be able to do that kind of work,'" is apt to get a positive response. Walter says a builder who gets his attention then might be interviewed over the telephone, followed by an in-person meeting over coffee. Beveridge is most impressed when a builder's name comes to him through a recommendation by a builder whose work he knows or a client who has a builder that he/she wants to use for a project. The risk of using an unknown entity - a builder "off the street" - is sharply reduced when others vouch for that builder's work. Wagner agrees that being "known" is a good commodity. Builders who are active in their local home builders association and have a reputation for doing good work at a fair price might qualify to speak with Wagner about moving onto his preferred builder list. If you're fortunate enough to make the cut and garner an interview with an architect, prepare for the appointment as if a small fortune depends on it - because it does. Other than the obvious (be prompt to the appointment and wear normal working attire), architects want to learn as much about a builder as possible in a relatively short time. In addition to seeing photos and a list of references, Wagner wants a list of architects for whom the builder has worked. Before going into the field to view jobs completed by the builder, he calls the other architects to get a sense of what it was like working with that builder. When deciding whether to select a builder to add to his referral list, Wagner looks for a "strong package." In addition to solid references and an impressive portfolio of work, a cornerstone of Wagner's selection process is a builder's commitment to the industry. In fact, he demands that a builder be a member of a home builders association. Walter wants a builder who is "design-sensitive." He looks for a builder with whom he can have mutual respect, with each knowing his own boundaries. "The client has enough to worry about without being the referee between the builder and architect," Walter says. That's one reason he insists on weekly meetings involving himself, the builder and the client. Similar to Wagner and Walter, Beveridge reviews a builder's references and job photos. He queries builders about photo details he does not like to get a better sense of whether the ideas came from the builder or another architect/designer. He also questions builders about their subcontractors - which ones they use and how long they've been using them. Beveridge wants to know that builders are on the job. At the level at which he works, he cant afford to have a builder who is not constantly monitoring the work. And he wants a builder who cares - attitude is an essential trait. Walter says it's a "constant battle to protect the integrity of the design and its execution in the field," especially with builders who might try to skimp on design details to save money. Especially on the first job he does with a builder, Walter says there is a "little dance" involving himself and the builder. He tells a story of visiting a job site and observing six plumbing vents projecting through the roof of the house, even though his plans stated that all vents should be consolidated. When questioned, the contractor replied: "Consolidating vents is not the way we do it." Wagner says that getting off his preferred list can be accomplished primarily through four don'ts: unexpected cost overruns, unexplained delays, shoddy workmanship and "unsavory dealings." If a builder does not practice a "commitment to excellence in every aspect of his business - meeting deadlines, taking care of subcontractors, immediate follow-up for warranty work, and office procedures," he won't last long, Wagner says. Stan Ehrlich, a past president of his 550-member local builders association, is a personal financial adviser in Clinton, N.J. To send Stan your comments on this story or pass on an idea for a future article, e-mail him at [email protected]. Comments on: "Getting Business From an Architect"